It’s no surprise that the live action Beauty and the Beast film is a smash hit. The cast is amazing, the new music is gorgeous, and it fleshes out details that the 1991 film only hinted at. It seems like everyone in the WORLD has seen the film (minus a few countries) because it’s all everyone has been talking about. Disney ~knew~ the film was going to be a massive success and they pulled out all the stops when promoting the film. 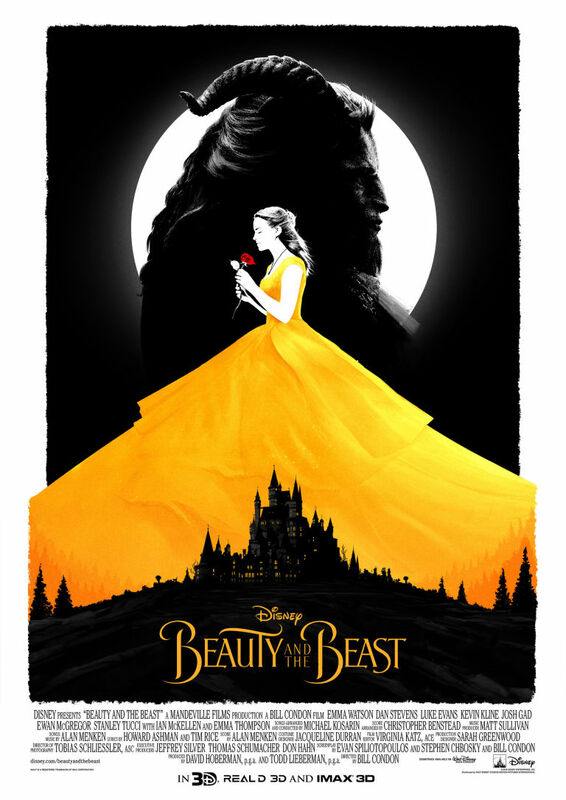 Now, the studio is releasing gorgeous alternative Beauty and the Beast posters and we needed them, like, yesterday! There’s one featuring the Beast looking longingly into the the distance and Belle looking at an (enchanted??) rose as her yellow/gold dress serves as the backdrop to the castle. It’s seriously stunning. The other poster features Belle trekking up to the castle on a snowy night. The single red bloom is everything. The posters were created by artist Matt Ferguson, who’s become a go-to for Disney, creating alternate posters for Rogue One, Dr. Strange, Kubo and so many others. All his posters are minimalist works of art we need on our walls. 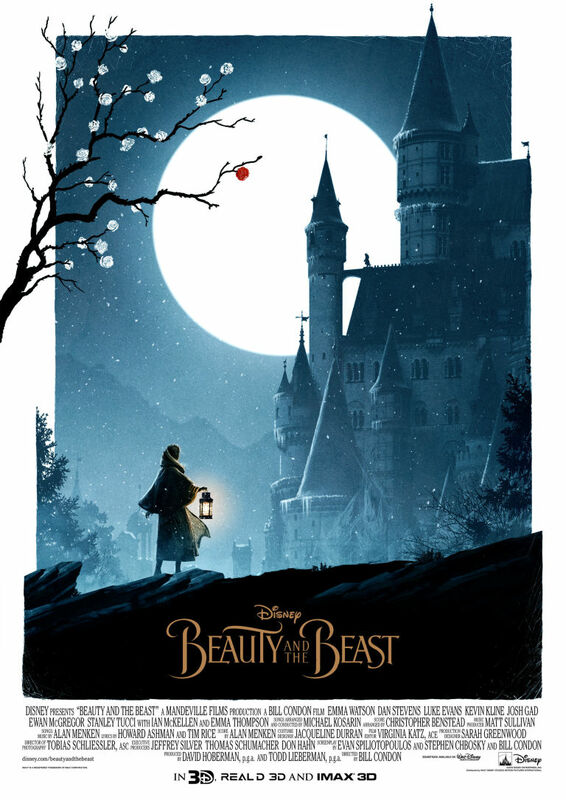 While we can’t purchase the Beauty and the Beast posters (cries forever) Disney is teasing a giveaway for them over on their Facebook. Run, don’t walk, to get in line for them, because we need to hang these posters up on our walls ASAP.